We recently brought you news about the forthcoming album from US singer/producer Adam Young (aka Owl Eyes), confirming that the star would be back later in the year with a brand new album entitled ‘The Midsummer Station’. Confirmed for local release on August 17, more details have now come to light about the new LP, including the official cover image (pictured) and two very special guests. He’s firstly teaming up with chart darling Carly Rae Jepsen, who Adam collaborates with on the new single ‘Good Time’. Adam also teams up with Mark Hoppus, of Blink 182 fame, on the track ‘Dementia’ – a more rocky cut on the new LP. 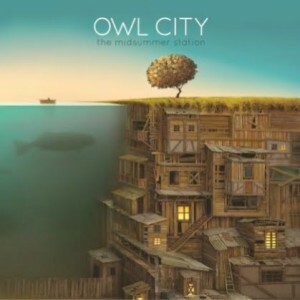 ‘The Midsummer Station’ will appear at retail in Australia on Friday August 17.